Positive: Very good workmanship and the materials used; high-performance; comfortable keyboard; fine screen; efficient cooling system; customizable macro keys. Negative: Glossy screen; short battery life; macro key arrangement; high price. Positive: High-performance hardware; great LCD screen; high-quality keyboard; good battery. Positive: Perfect quality materials and workmanship; high-performance; efficient cooling system; high quality input devices; good battery; excellent connectivity; very decent sound quality. Negative: Expensive; poor color reproduction. Model: The Alienware 17 R2 is a solid looking gaming laptop packed with all the right hardware. With most Alienware laptops, design is kept edgy with strong lines and chassis angles. The laptop comes in a beautiful silver finish with bright orange highlights that accents the device nicely. As with most premium priced tech devices, users can expect only the best features and the Alienware 17 R2 certainly delivers. The Windows 8.1 laptop comes with a stunning 17.3 inch FHD IPS display panel with anti-glare capability. Colors and image sharpness are accurate and clear. 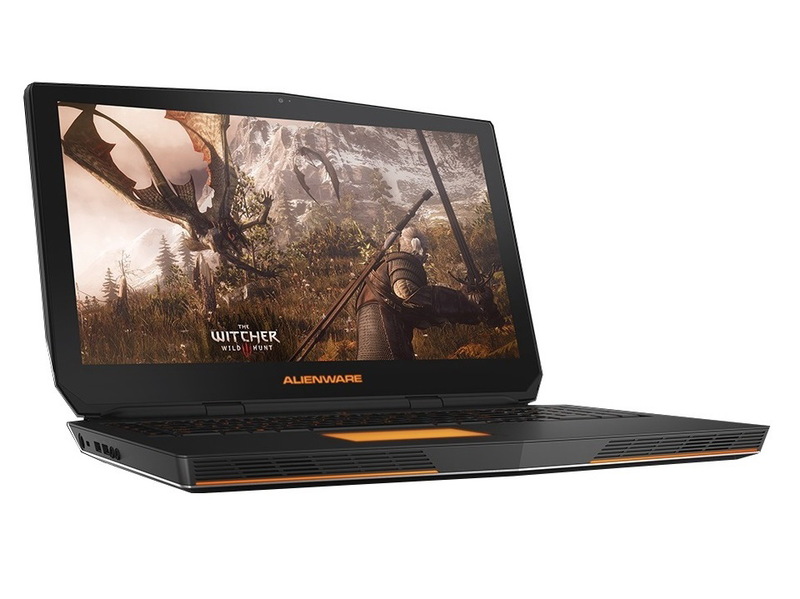 Users can customize most aspects of the laptop but the default setup sports an Intel Core i7-4720HQ quad-core processor, 16 GB DDR3L RAM and an NVIDIA GeForce GTX 980M with 4 GB GDDR5 VRAM. The Alienware 17 R2 will definitely tackle current and near future games with ease. Storage on the laptop can be selected from either a 256 GB M.2 SSD and 1 TB HDD combination or a 512 GB M.2 SDD and 1TB HDD combination. The device also comes with a full-size keyboard with backlighting and 5 macro keys on the left. Other features consists of a 2 MP Full HD webcam, a card reader, an Alienware Graphics Amplifier Port that allows an external GPU to be attached, three USB 3.0 ports and a USB 3.0 port with PowerShare technology. The Alienware 17 R2 comes with an 8-cell Lithium Ion battery pack. 4980HQ: Haswell-based quad-core processor clocked at 2.8 GHz with Turbo Boost support up to 4.0 GHz. Offers an integrated Iris Pro Graphics 5200 GPU and a dual-channel DDR3 memory controller.» Further information can be found in our Comparison of Mobile Processsors.